I have to say Android update its version so often, at most 4 updates in 2011 from Android 3.1 Honeycomb to Android 4.0Ice Cream Sandwich.Update to now,it’s Android 4.1 Jelly Bean and Android 5.0 Key Lime Pie is on the way. Anyway, my Motorola phone is still running Android 2.3.6 Gingerbread.I really wish I can update to at least Android 4.0 to experience the new features, but Motorola sees have to time to deal with the update thing. Although we can’t update to the latest android os version, I am sure you want to know what is the new features about the each version.This can contribute to help you make your mind whether you will update to the latest version. 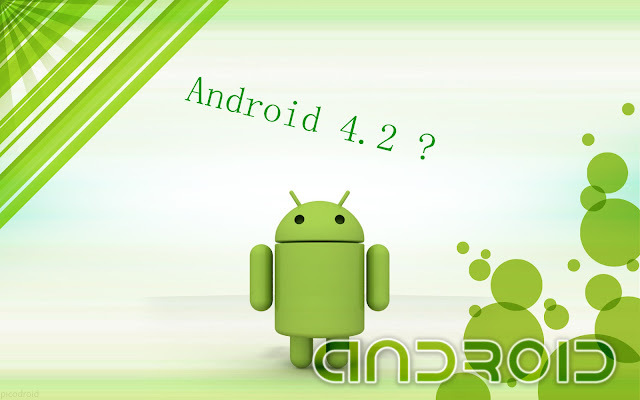 Now let’s talk a little about Android 4.2 today. It’s mainly about its Quick Settings features. For this is the only released information. As you can see in the video, You need to make a dual-downward-swipe gesture to access the Quick Settings interface, swiping again after first getting to the notification screen.It’s predicted that it will give users quick access to WiFi, airplane mode, and the other device settings already present in some Android interface. It sounds like a welcome change, though we have no idea how the intuitive double-swipe-down gesture fell. Anyway,I will write more about this if Android 4.2 launches.